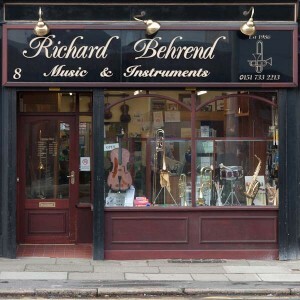 Established in 1986, Richard Behrend’s music shop has been supplying Liverpool and the surrounding area with instruments, accessories and music for more than 30 years. Initially specialising in brass instruments and accessories, we soon expanded our range to include all orchestral instruments from the brass, woodwind and string families and the various accessories and latest gizmos to go with them all. For children and adults who are just starting lessons on an instrument, we offer a rental scheme for six months to try the instrument out in case it is not the one for you. We stock an extensive selection of music for all these instruments and piano. From tutors for very young beginners to Beethoven Sonatas, if the music is not in stock it can be ordered for you and posted if you can’t come to the shop. We also provide a repair service for instruments. Brass instruments are sent to our brass repairer whilst woodwind and string instrument repairs are carried out in our workshop on-site. From stuck mouthpieces, to flutes which have been sat on, most things are fixable with the correct knowledge and expertise. Leave your hammers and wrenches in the shed and let us do it for you. 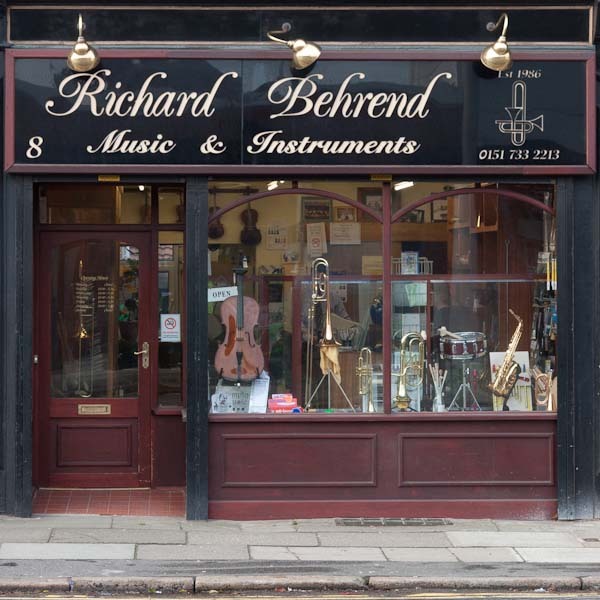 © 2019 Musical Instrument Sales and Repairs - Richard Behrend. All Rights Reserved.